Perform magic tricks with presentations related to passages from the bible. Also includes a section called Presenting The Program which helps you put everything together and dress it up. How Shall I Put A Program Together? 1st edition 1951, 24 pages; PDF 29 pages. This work is still useable today all you need is some imagination and some knowledge of scripture to apply the contents. So is the other gospel magic available here on the site which like this work despite its age is a practical purchase. 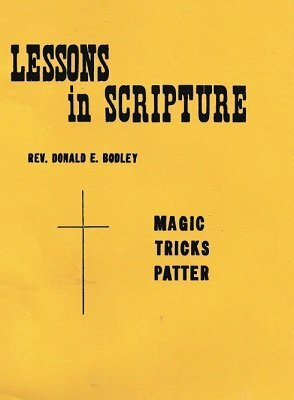 Don't judge any magic related book by its age all ideas can be adapted and brought up to today's audience needs like this quality book I recommend check the other books on gospel here on lybrary.com.